Here in Tampa, FL, we can get a little spoiled with so many opportunities for adventure and fun. With so much to do, it can be easy to overlook the awesomeness that can be found right here in town. 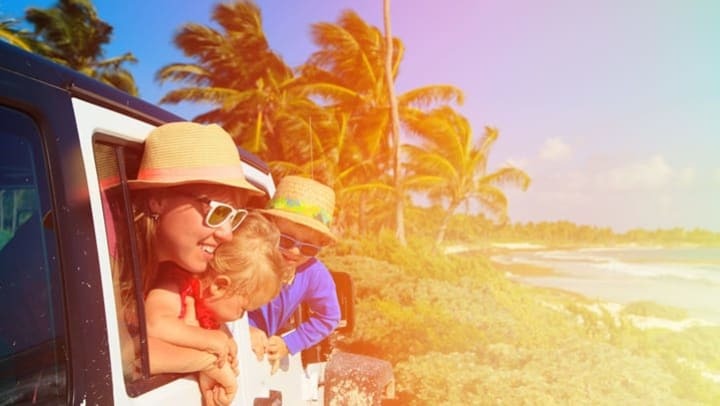 From the golden beaches to the adrenaline-pumping amusement parks, StorQuest has put together a few of our favorite family-friendly activities you can’t pass up. What’s a day in Florida without hitting the beach to spend the day soaking up the sun and ripping some incredible surf breaks? Just a 25-mile drive from Tampa, Clearwater Beach is home to some of the softest sand in the country and endless opportunities for fun and adventure. Set sail from Clearwater Marina to embark on an awesome journey searching for dolphins and reveling in the scenic views of Clearwater. In the evening, chase the sunset at Pier 60 for a celebration featuring street performers, live local music, and delicious food. Get your fix of Florida nature on this two-hour or full day Canoe Escape down the Hillsborough River. Along this 16,000-acre wildlife preserve you’ll float down “alligator alley,” where you’ll see up to 11-foot-long gators basking in the sun and warming their cold-blooded bodies. Whether you prefer catching a largemouth bass or spotting numerous birds of prey, Canoe Escape brings a new surprise around every corner. Awaken your sense of discovery at the Kennedy Space Center. Located on Merritt Island 125 miles from Tampa, FL, this epic adventure is well worth the two-hour drive. Check this U.S. launch site off your adventure bucket list and experience the home to every NASA human space flight since 1968. Head to the 90,000-square-foot Space Shuttle Atlantis exhibit, where you can embark on a spacewalk mission and blast off in the Shuttle Launch Experience Simulator. End your day at Apollo/Saturn V Center and feast your eyes on the largest rocket ever made. Beat the heat at Tampa’s premier 30-acre water park. Kids and adults alike will love Adventure Island’s water-drenched fun in the sun, featuring the ultimate combination of high-speed thrills and tropical surroundings. Race down rapids, dig your toes in the sand, or kick your feet up at one of the private cabanas. Whatever your perfect day in the sun consists of, Adventure Island has plenty of awesome for everyone. Throw your jersey on, paint your face, and get ready for some hard-hitting, electrifying Sunday football at Raymond James Stadium. Home to the Tampa Bay Buccaneers, this professional football stadium is booming with history and action for every sports fan. Get to the game early to see the Jolly Roger, a giant pirate ship behind the north end zone in Buccaneer Cove. Be prepared to cover your ears – whenever the Bucs score, they fire off a canon! If you’re living in the Tampa area and need some more space for your paddleboards, surfboards, and other beach accessories, you can trust that StorQuest will take good care of them while you’re out there exploring everything this great city has to offer. And when it is time to hit the beach, swing by and grab your things for a legendary day on the water.